Today is the official Hurry Up And Wait day... oh, you thought the entire 21 days were? 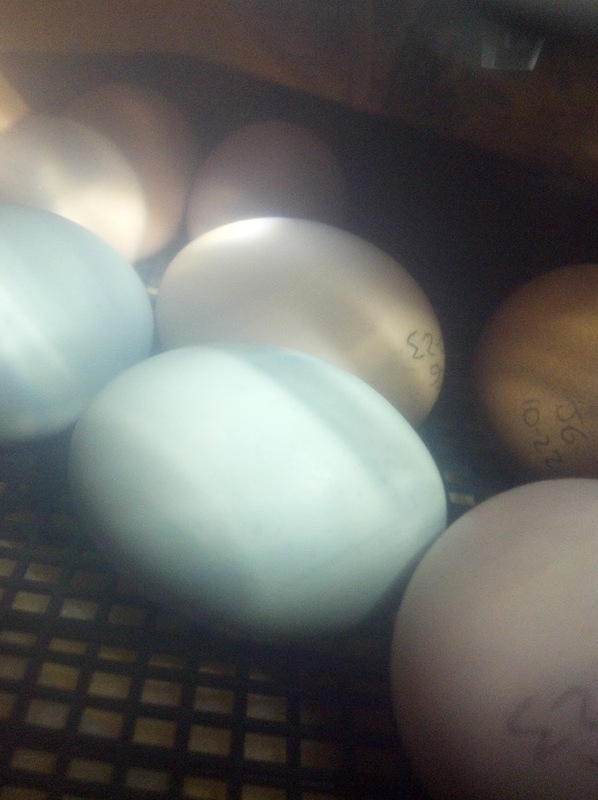 Just wait until you have eggs in the incubator and it's hatch day, and you'll see what I mean. Chicks hatch on their own time clock. Some are anxious to get out, some must like it in there because they'll wait it out as long as they can. Regardless, today is The Day to keep all eyes on your incubator. "Pipping" is when the chick actually breaks through the shell with a bump on the tip of its beak called an egg tooth (which falls off after a couple days). An inner pip just includes the inner membrane, where an outer pip (which is what you're looking for today) will be a tiny crack in the shell. Hatching can take hours... yes, hours. We had one chick last year that took nearly an entire day to completely hatch. We watched it the entire time, ready to intervene if needed, but in the end she made it out by herself. We've had other chicks that pipped and kept chipping away, then hours into it started showing signs of struggle, and we've helped them get out carefully. Please note that this is a last resort. We believe that chicks are best if allowed to hatch unassisted if at all possible because one wrong move by a "helper" can create a deadly problem.